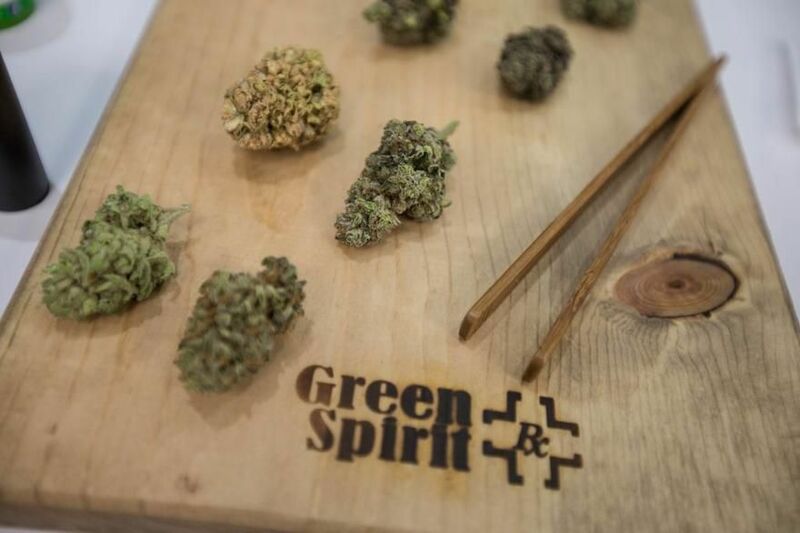 Green Spirit Rx is a Dorado Medical Cannabis Dispensary Green Spirit Rx is a Puerto Rico medical cannabis dispensary launched to help Dorado patients with all their medical cannabis requirements. From compassionate cannabis education to featuring a variety of medical options, Green Spirit Rx strives to be Puerto Rico’s first choice for medical cannabis therapies. About: Green Spirit Rx is on a mission to establish first-class medical cannabis care in Puerto Rico. Opening in Spring 2018, the team is committed to the health and well-being of its patients. The team believes compassionate cannabis care should be easily accessible for any person living with critical and chronic illnesses. Through transparency and education, Green Spirit Rx empowers its patients to take control of their own healing. The Dorado dispensary offers a safe and welcoming environment in which patients can access and learn about medical cannabis. The Green Spirit Rx staff is highly trained and happily guides Dorado visitors to the ideal product and consumption methods to soothe their suffering. Menu: Green Spirit Rx collaborates with Puerto Rico’s finest cannabis vendors to procure a robust, varied menu of medicine for patients. The Dorado dispensary features flower, cartridges, capsules, lotions and edibles from which to choose. Green Spirit Rx specializes in flower selection, carefully selecting its vendor partners to source the most effective cultivars for its patients’ needs. Per Puerto Rico regulations, all medical cannabis is lab tested by Novacann Labs. Patients may use cash to purchase their cannabis medicine and take advantage of Green Spirit Rx' onsite ATM. The dispensary team invites Dorado patients with questions to schedule an appointment should they need more personalized attention. Green Spirit Rx connects with its patients online via social media and email. Service Locations: Green Spirit Rx-Dorado stands in the Paseo del Plata Shopping Center in the northern region of Dorado. Patients in Quintas, Martonnel, Casa Del Ray and Jardines De Dorado can easily access Green Spirit Rx’ compassionate care. The dispensary team caters to Villa Santa, Monte Lindo, Costa de Oro and Dorado del Mar patients. Those in Cantero, Toa Baja, Vega Alta and Los Puertos know a trip to Green Spirit Rx is worth the journey.